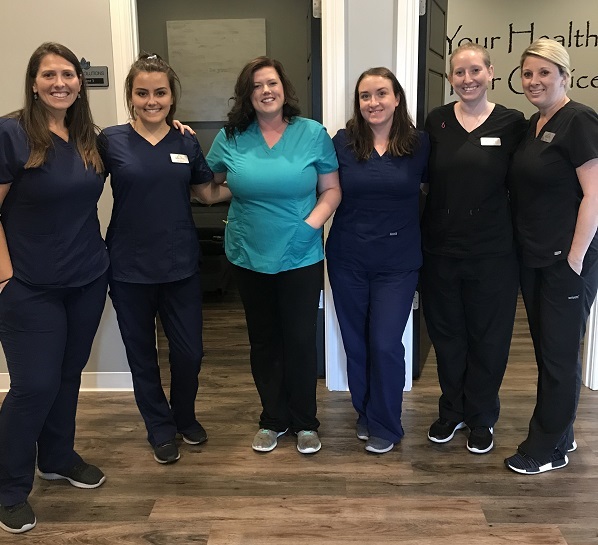 We are so excited to announce that we have a new addition joining our NWA Health Solutions Family! Friends, please meet Adrian Rogers our NEW Massage Therapist! Adrian was born and raised in Rogers and has been a licensed massage therapist for over 7 years. Book your first appointment with Adrian to receive $10 OFF MASSAGE!! Massage is not just a way to pamper yourself! It is a powerful tool to keep you in good health, whether you have an injury or just need stress relief, massage therapy can help. 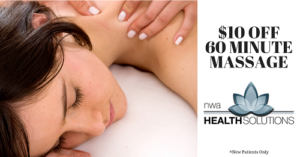 The benefits of massage are extensive. Pairing massage with our therapy programs can greatly increase the speed at which your muscles heal. Benefits of massage include: Anxiety relief, muscle pain relief, headaches, sports injuries, strains or sprains to the muscle, joint pain, promote relaxation through the whole body, improve circulation, improve posture. Swedish Massage – Commonly use to relax. Deep Tissue Massage – Helps loose and relax muscles that are overly tight or injured. Neuromuscular – Uses varying pressure to trigger a neuro-response to relax it. 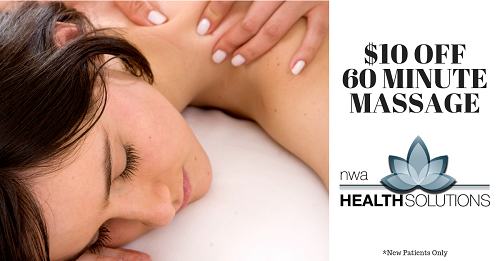 Our Massage Therapists commonly use all 4 types in a 60-minute massage session. We cater to our patient’s needs and the type of care that will benefit them the most.